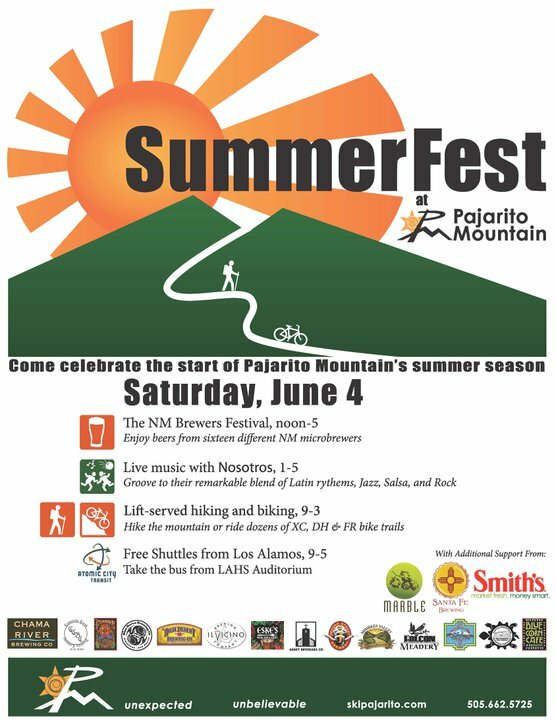 If you don't have the energy to get out the old Huffy and take part in the Tour de Beer de Burque this Saturday, perhaps you'll hop in the old Volvo instead and head to Los Alamos for the Pajarito SummerFest. The fest is much more than a beer fest, with the lifts running for you hikers and mountain bikers along with live music for you dancing hippies. Getting away from that awful vision, imagine sixteen New Mexico Breweries pouring beer in one place. That's right: my mouth. I don't think I've beer to a NM fest with that many in-state breweries represented. This will be my first time going north of Bernalillo for anything other than Colorado in five years, so that's saying something.